As an iPhone user, one of the most important things you should know is how to backup iPhone to iCloud. If you lose your iPhone, you stand to lose all the photos, messages, documents, health data and memories. So it’s recommended that you know how to backup your iPhone to iCloud, which is Apple’s cloud-based storage solution that you can use to backup your data. It’s part of your device and usage up to 5GB is free. So far, if you haven’t enabled iCloud backup, you should consider enabling it now. 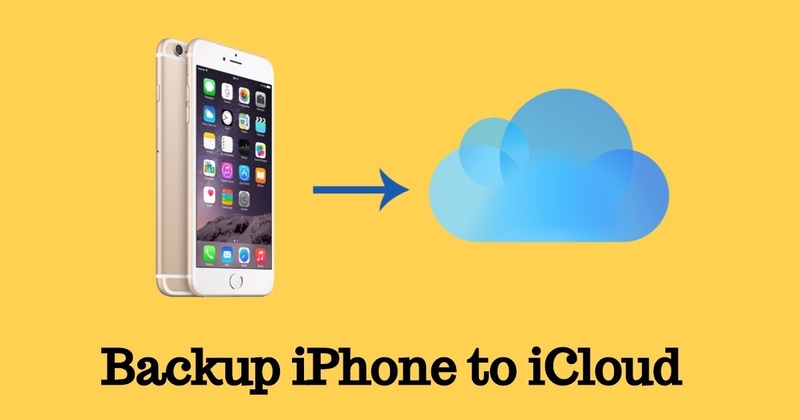 And this post will teach you how to activate iPhone backup to iCloud in just 2 minutes. If something goes wrong and you lose all data on iPhone, the iCloud backup can come to your rescue. iCloud backup can be accessed from anywhere. All you need is an internet connection. But, in order to have the iCloud backup, you need to first enable it. 1. Head to Settings. Tap on iCloud. Tap on Backup. 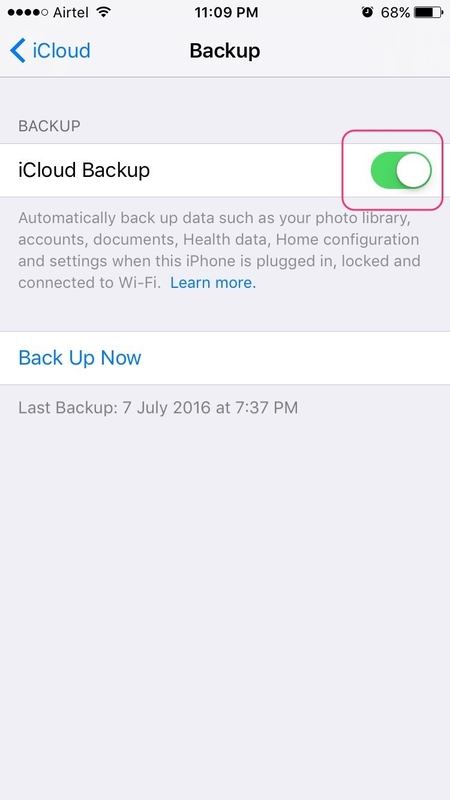 Switch on iCloud Backup by moving the slider to the right. That’s all. 2. 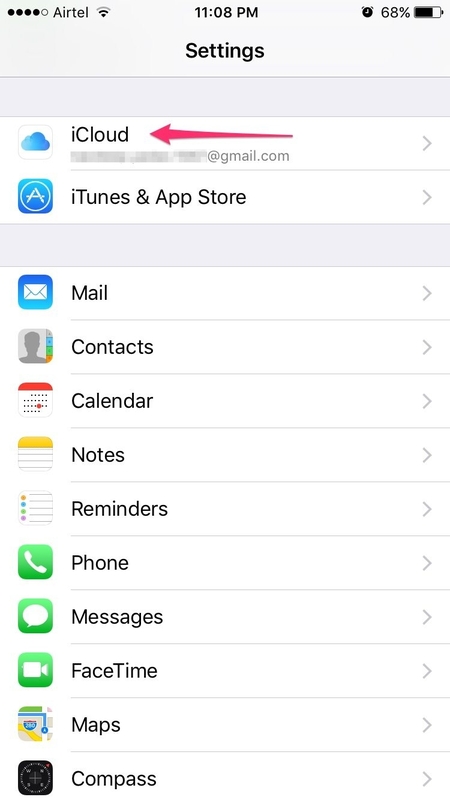 If you see a notification that says your iPhone will no longer back up to your computer automatically. Tap on OK. Your data backup begins. iCloud attempts to start a backup of your data every 24 hours, when your iPhone or iPad is connected to WiFi and plugged in to charge. This mostly happens while you are asleep. The first backup can usually take quite some time. Further backups will happen much faster. 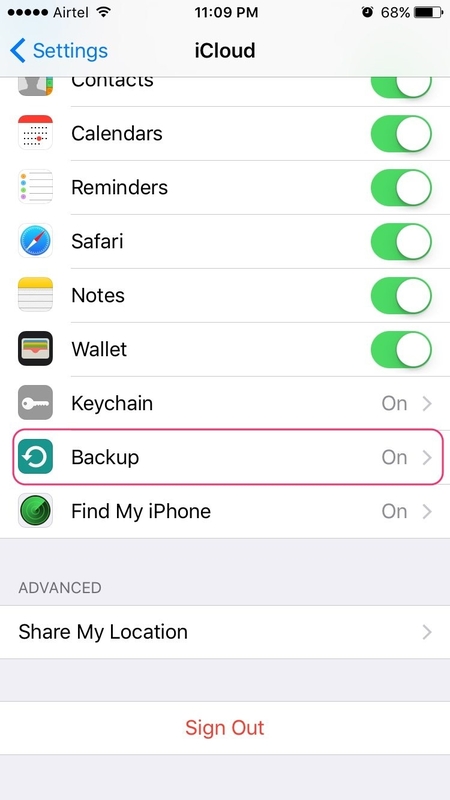 If you followed the above steps, iPhone backups should happen automatically. But you can also manually trigger an iCloud backup if you wish to. 1. Head to Settings. Select iCloud. 2. Tap on Backup. Then tap on Backup Now. This triggers a manual iCloud backup and backup starts immediately. When you start with a new iOS device, a Setup Assistant asks if you want to “Restore from iCloud Backup“. Choose this option to restore all data. Enter your iCloud username and password when prompted. There may be more than one backups to choose from. You should ideally choose the latest backup. Once you choose the backup to restore, all you have to do is enter passwords when prompted and wait patiently till all data is restored. It also helps to know what will be backed up and what will not be backed up. Apps, books, music, and TV shows that have been removed from the App Store, iTunes Store, and iBookstore since you downloaded or purchased them. So, “how to backup iPhone to iCloud” is no longer a mystery to you. It’s something that’s really easy to do and now, it’s also something that you are familiar with. If you haven’t backed up your iPhone yet, start now! 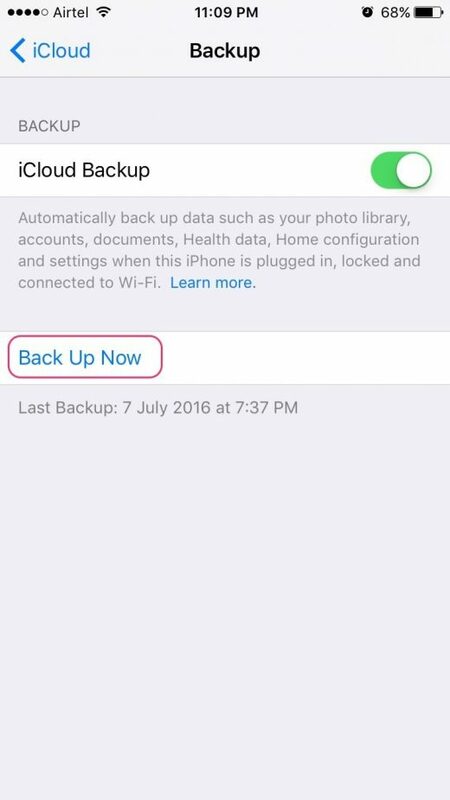 The post How to Backup iPhone to iCloud in Just 2 Minutes appeared first on MobiPicker.